Amy and I have met a couple of times…and she is a delight! She is so full of fun and knowledge and gumption as she is a hard worker and her businesses show it. She is one that explores a little outside of the box- which is always a fun adventure. I’m thinking that you’ll enjoy her pattern and getting to know her as I have! 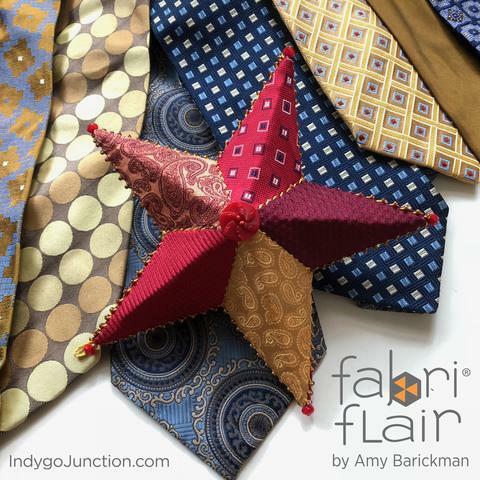 I’m Amy, author, designer and founder of the sewing pattern publisher Indygo Junction. I love collecting home arts and fashion ephemera, as well as vintage fabric, textiles, and needle arts. This collection inspires much of my product development work. It feeds my creative spirit and I know it will inspire you. Here you will find FREE vintage inspiration, images and patterns. I took this passion to a new level when I discovered Mary Brooks Picken and the Woman’s Institute she founded. I was compelled to share that material through my award-winning book Vintage Notions: An Inspirational Guide to Needlework, Cooking, Sewing Fashion and Fun. I hope you will join me in my journey to curate vintage and create modern projects for you. 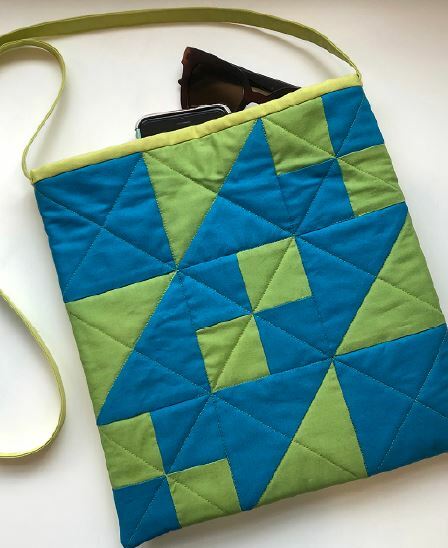 This quilt block bag is a quick and easy bag that can be worn over the should or as a cross body bag. 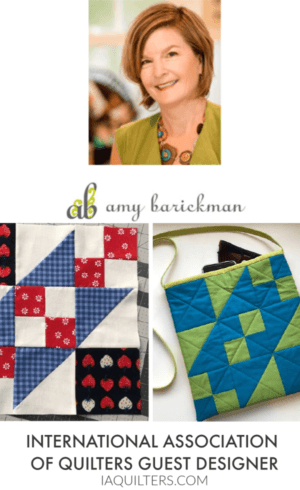 It is a perfect canvas to showcase a favorite quilt block or favorite fabric. I love using vintage blocks in my collection for this bag – Vintage Made Modern!! Yipeeee! When it was time to design this quilt block, I naturally turned first to my Vintage Notions Coloring Book, Quilt Therapy. 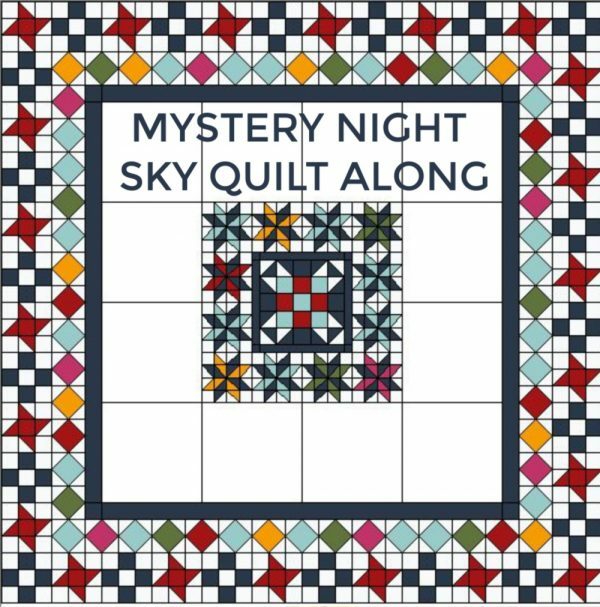 This coloring book is an inspiring collection of more than 80 quilt designs that are based on blocks from The Ladies Art Company Block Catalog, published in 1921. 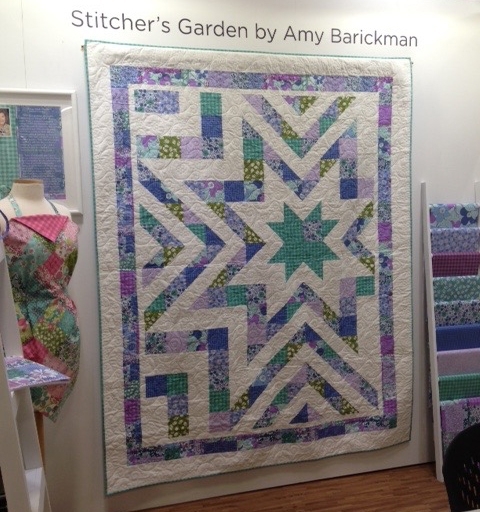 My mantra is “Vintage Made Modern” and I love how this block is a classic quilt block from our rich quilting history. 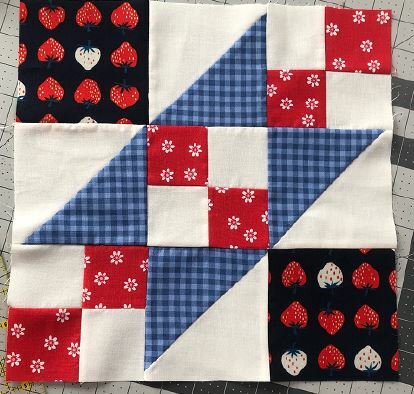 It looks like a vintage quilt block with more traditional fabric choices, but with bold colors, it can become a striking modern quilt block as well. There’s so much to love about “Vintage Made Modern”! My mom taught me. She was a home ec teacher and is a fabulous seamstress. As my Girl Scout leader, she taught our group to make wrap skirts. That is the first project I remember making. 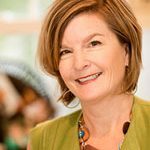 In my teen years, she started her store with teaching teddy bear making classes, she then went on to own both a gift/clothing store and quilt shop. I was inspired by her to start my own business in high school, The Martin Collection of Teddy bears. I scouted thrift shops for cast off fur coats to use for fabric and also did custom orders for people. Nature and art! I also find much of my inspiration from vintage textiles and publications – I love making old new again- my mantra is Vintage Made Modern. To see how I develop and ideate watch my Youtube series Vintage Made Modern. This series chronicles my Vintage Notions book and research for my muse, Mary Brooks Picken. I love the new mini travel irons from Dritz: The Mighty Steam Iron and the Petite Press. 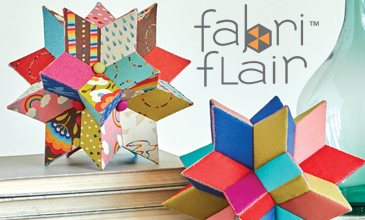 They are great for Fabriflair, my dimensional paper piecing line pattern and kit line. The line includes our Fabriflair Stabilizer which is fuseable. If I am making a Centerpiece Star, I can easily fuse pieces with one of these irons set up anywhere in the house. So nice for smaller projects and compact for traveling. 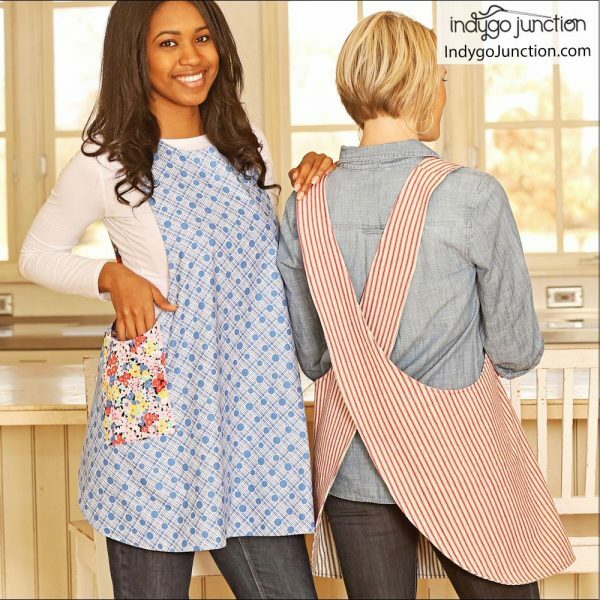 In February at Quiltcon, Moda is showcasing our Indygo Junction apparel patterns in their new Boro and Nuno lines. And Red Thread Studio will also have a pop-up of our patterns. I am also so excited for Row by Row this year. We are an Industry Partner company with the program and plan to showcase the fabrics in the program in many of our patterns, the theme is Taste the experience so we will be creating our apron and “kitchen couture” patterns in the Row by Row kitchen themed line. Quirky or fun fact about yourself? I am a huge KU basketball fan- Go Jayhawks!!! Join the International Association of Quilters– an online quilt group that fits your schedule & location. Exclusive patterns. Community of quilters. Designers you’ll love. Join here!